The new season of The Walking Dead doesn&apos;t premiere until October (most likely), but that doesn&apos;t mean AMC can&apos;t roll out the publicity wagon. Earlier this week, we caught a glimpse of star Andrew Lincoln using a rock to kill a bunch of badass zombies. 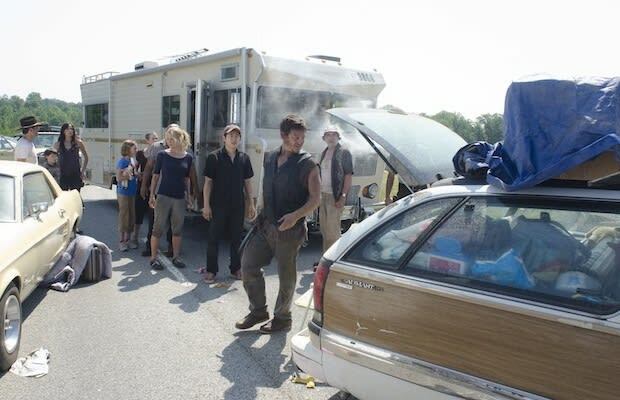 This new still is decidedly less violent; it just features the cast standing around a bunch of busted-up cars.